Newcastle promoted to the English premier after 4-1 defeat over Preston. - Bana Kenya News, Real African Network Tubanane. Home Sports Newcastle promoted to the English premier after 4-1 defeat over Preston. Newcastle promoted to the English premier after 4-1 defeat over Preston. 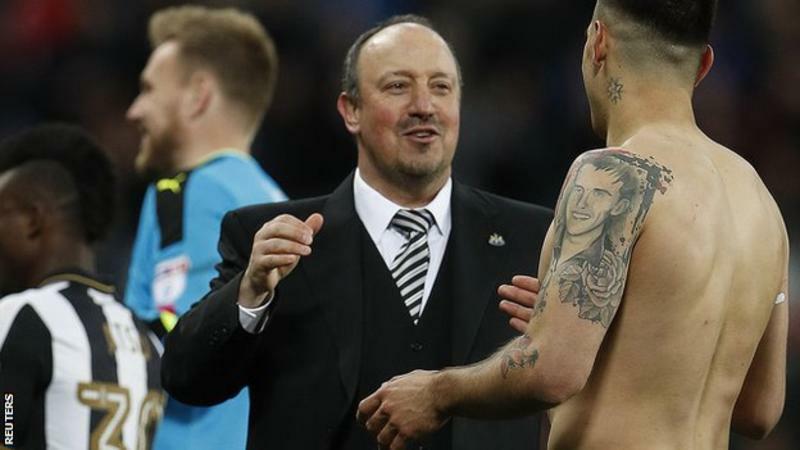 Raphael Benitez made Newcastle go back to the English premier league with a 4-1 win over Preston on Monday evening. The Newcastle manager claimed that the next season will be among the top Ten teams in the main English premier league. They will join Brighton who was assured of promotion to the Premier League for the first time last Monday in the top tier next season. Ghanaian forward Christian Atsu put the Newcastle 2-1 up at half-time after Jordan Hugill had cancelled out an Ayoze Perez opener. Sunderland and Middlesborough are expected to be relegated if they will still perfom the same way. The two teams will go back to the championships league as Newcastle and Brighton join Chelsea and Manchester United.